In early 2018, The Cooper Union was awarded a $2 million grant from the IDC Foundation to create a new multidisciplinary lab space. 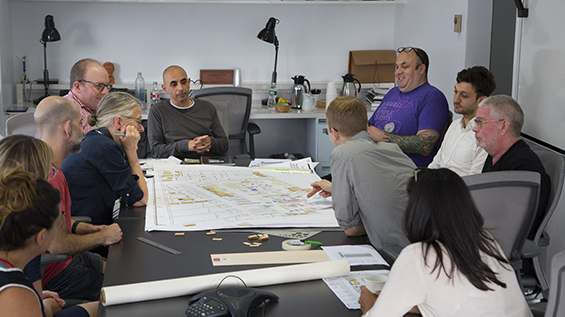 This foundation was born from the Institute of Design and Construction, a former Brooklyn-based nonprofit that trained more than 30,000 New Yorkers before closing in 2015. The IDC Foundation is a charitable institution providing funding for scholarships, fellowships, and grants to educational institutions for students in the design, engineering, and construction fields. IDC released a request for proposals for its first round of grants in the summer of 2017. In addition to Cooper, Columbia, NYIT, NYU, and Pratt also received various amounts of funding. The resulting Art, Architecture, Construction, and Engineering (AACE) Lab will serve as a catalyst for integration across the institution, with equipment allowing projects that involve “making,” from 3-D printers to robotic arms to virtual-reality technologies. The space will take advantage of one of Cooper’s longstanding salient qualities—translating intellectual activities into practical applications. Students will be introduced to the lab in their first year through a shared workshop in the space. The committee expects other cross-disciplinary courses as well as Cooper’s outreach programs to use the lab. Opportunities to engage the public through workshops will also exist. “We anticipate that the AACE lab and the associated projects and courses included in the proposal will provide strong stimulation for more interdisciplinary opportunities that will be exciting prospects for students and faculty alike,” says Raja.